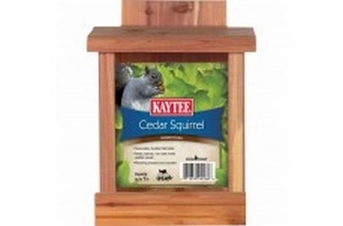 KAYTEE Cedar Squirrel Feeder keeps squirrels and other wildlife occupied and fed for fewer bird feeder intrusions. Holds peanuts corn and mixed wildlife blends. Hinged lid for easy filling. Comes with mounting wood screws.